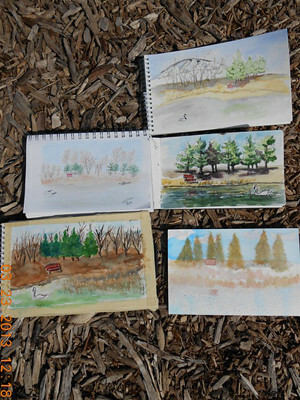 Sketch Class Results Lake Katherine March 2013 – Let's Paint Nature! 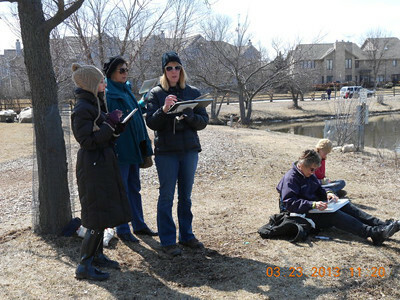 This month’s sketch class was held at Lake Katherine. After walking around the lake in search for Mr. And Mrs. Swan couple (we did find them), we chose this location of a peaceful red bench under a group of pines. Some of us decided to use the rocks as our desk. While others relaxed at the edge of the lake. Which ever way was comfortable, we all came to same conclusion…beautiful artwork inspired by nature. Here is a closer look at our terrific souvenirs. Our objective is not to critique the artwork, but to just enjoy the process together. This is a close up of my watercolor and black Micron pen sketch. 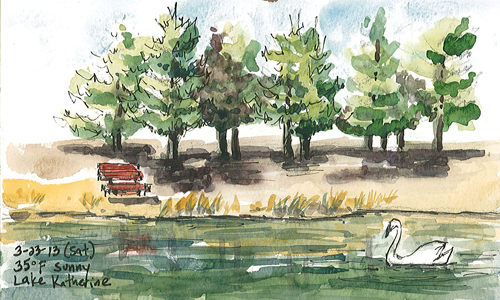 I decided to add Mr. Swan even though he wasn’t in my view…he had his own agenda for the day! We did catch him though, along with his partner and the mallard clan. I look forward to the cygnet (baby swans) in the future that this couple will bring forth. 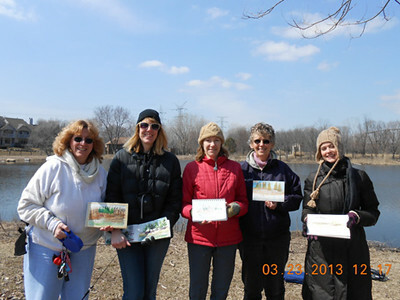 And NO sketch class would be complete without a hike! 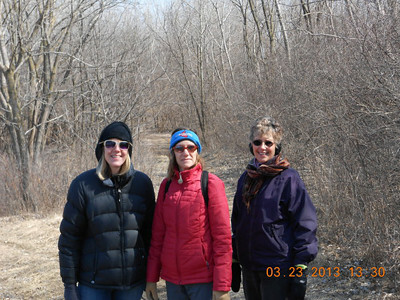 We decided to take the trail right under Harlem Ave and walk along the Cal-Sag river. Even though it is stillllllllll in the 30’s (hello? where is spring btw? 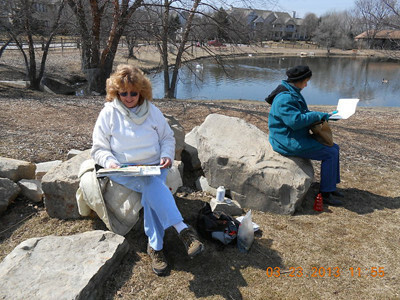 ), there was no wind and the sun did warm us up! 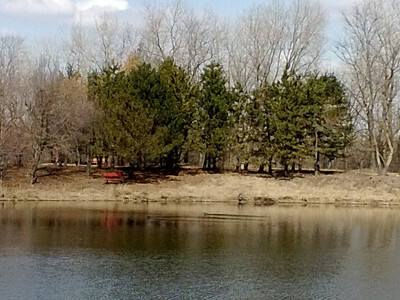 If you are in the Chicago area and would like to join us, click here for the MeetUp site link. I hope you enjoyed our sketching and hiking adventures! It is a shame Kalamazoo is not in the Chicago area!! Haha…Jim, you can be with us in spirit! Looks like fun. 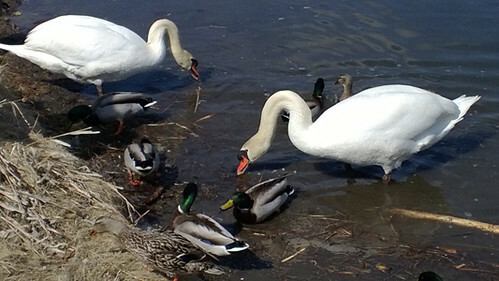 The mallards look so small next to the swans!